This product is featured in: Why did the Browning 525 Laminate leave our reviewer speechless? and Browning B725 Hunter UK Black Gold II reviewed by Shooting Gazette. 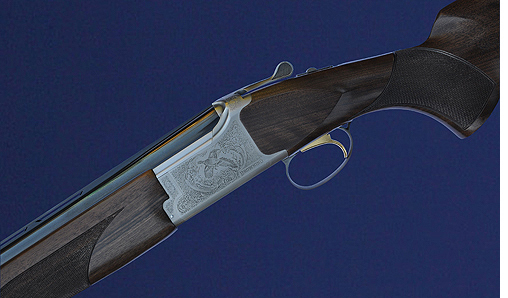 The latest Browning game-gun is a significantly modified version of the 525 Hunter Classic. Browning is one of the best-known gunmakers in the world and its products are immensely popular. Although I have always been something of a Beretta man, having owned far more of them, I have immense respect for the Browning marque and the genius of the man who created it, John Moses Browning (1855-1926), a Mormon whose modest family business grew into an industrial dynasty because of his remarkable energy and creativity. In the Sixties and Seventies the Browning corporation noted that BC Miroku, a long-established Japanese firm, had been making rather good imitations of its famous B25 Superposed stack-barrelled shotgun and was having considerable commercial success with them. 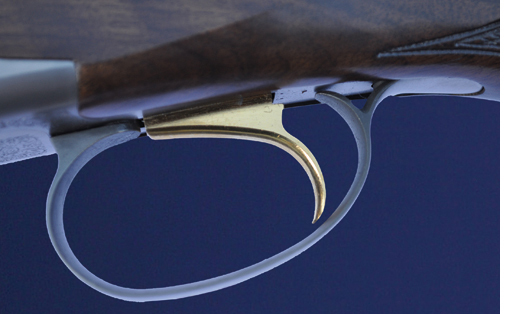 Instead of persuading Miroku to stop making copies, Browning entered into an arrangement whereby the Japanese manufacturer (which also produces parts for the auto industry) would end up making the majority of Browning over-and-unders. The remainder are crafted by Browning International ‘on the bench’ in Herstal, Belgium. The Japanese-made Browning Citori hit the market around 1980 and was highly successful. It evolved into the 325, the 425 and, most recently, the 525 (and a similar 625 available only in the United States). These guns are all essentially based on a slightly simplified, volume-production-friendly version of the original Superposed. The fore-end of the Japanese variant is detachable on primary disassembly (on B25s the fore-end remains connected to the barrels), it has a recoil-activated single trigger and there are some other minor mechanical differences. The machine-made stocks are usually more amply proportioned than those on the bespoke Belgian B25s. Another distinguishing feature is barrel weight. The Belgian guns have lighter, fixed-choke barrels while most of the Japanese guns have multi-choked barrels of heavier profile, slightly trumpeted at the muzzles to accommodate interchangeable chokes. It gives the guns very different handling characteristics. 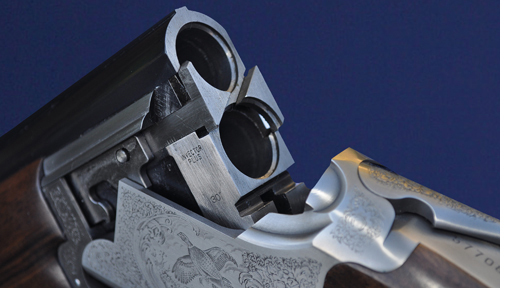 The Japanese Brownings are popular with both game- and clay-shooters, not least because of their competitive pricing. The test gun has 30in barrels and a narrow (6mm) game rib. It hits the scales at a shade over 7lb, light for its bore and barrel length (the barrels weigh about 3.1/2oz less than before). The 525 is sleeker than the 425. On the cosmetic front, its barrel shoulders are beaded, as is the top of the action, which gives a streamlined effect. They are 3in- chambered, monobloc and chromed (demi-bloc barrels, as still seen in Belgian B25s were the norm in Japanese-made Brownings, too, until halfway through 425 production). The basic 525 appeared some years back and, external action re-profiling apart, it was much like the 425, save for protective internal plating to the barrels (a useful change, as Brownings could be prone to internal rusting). Some effort was put into improving the quality of trigger pulls (subtle modification rather than complete redesign). The gun still had a full-width hinge pin and a slightly higher profile than some designs, and shot much like the 325s and 425s. This 525, however, has had some major changes which set it apart not only from earlier 525s but from the all the Japanese-made Brownings yet made. The barrels of this new 525 are back-bored , which means they are wider than the norm for a nominal 12-bore. 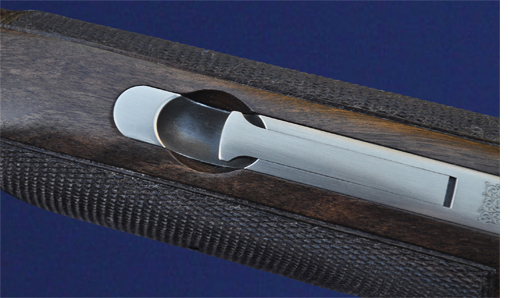 Browning introduced this on other models with success but it has not been seen on the 525 until now. The widening of the barrel bore is combined with a longer forcing cone (the funnel-like constriction that leads from the chamber to the main part of the barrel). 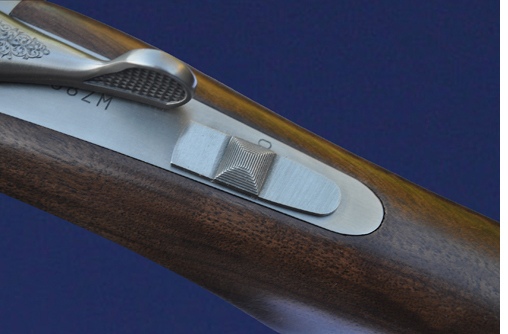 This is entirely new for Browning, which has previously used short cones only. The old cones were less than 1in long; the new ones are about 3in. recoil and can improve pattern quality, especially fringe pattern performance. 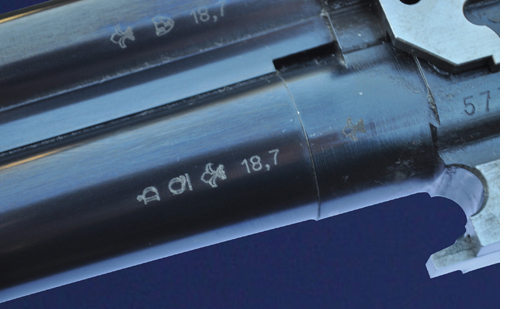 Browning has also addressed the important issue of barrel weight. The barrels are significantly lighter in this 525 than in previous mass-produced, multi-choked Brownings. This new 525 offers much improved performance. Felt recoil is lower. The gun is livelier thanks to the reduction in barrel weight. On the day I shot it, I also shot a Sporting version (which differs primarily in having a 10mm rib rather than a 6mm one). Both of them showed substantially improved performance and both offer remarkable value for money in basic grade. If you are tempted to buy a 525 make sure it is to this new pattern. It shows just what can be done to a basic model with a little well-thought re-specification. Though it looks externally similar, it is a significant improvement on any Japanese Browning offered previously.